After our successful participation in 2016, which ended perfectly with the crown in Germany, we are back at the worldwide Harley-Davidson Battle of the Kings competition. 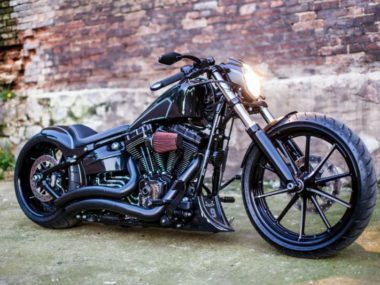 In 2019 the model specification was canceled, so we could use the complete Harley-Davidson program. 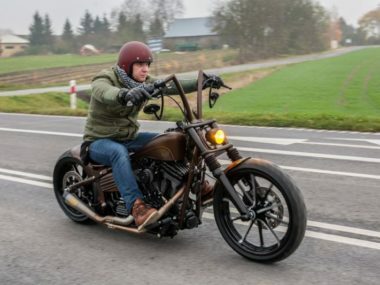 The choice fell on the youngest & sportiest offspring of the Softail family: the FXDR 114. 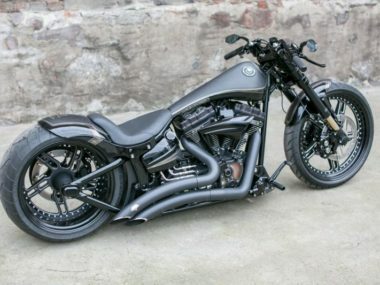 The FXDR can especially impress with the factory fitted double brake discs, aluminium swingarm and upside-down fork. 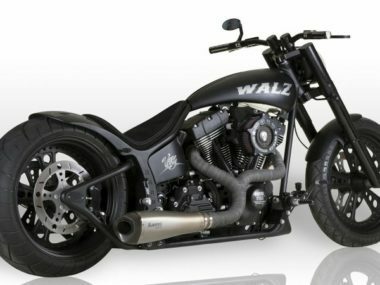 These already existing components with a sporty approach have led us to emphasize the racing character of the bike and to deliver a deep and evil dragster conversion for this battle. 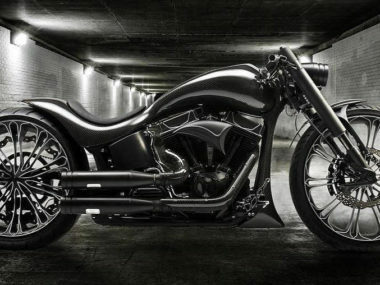 This project makes the FXDR a true custom dragster bike that not only feels at home on the ¼ mile. We also lowered the chassis by a full 50mm and refined the look with the new 260mm tire. Thanks to Screamin’ Eagle Stage 3 Kit, not only the cubic capacity increases to 117 cubic inches, but also the engine power by almost 40%. The original fender had to give way to our GP-style rear with integrated lighting, which has a matching seat. 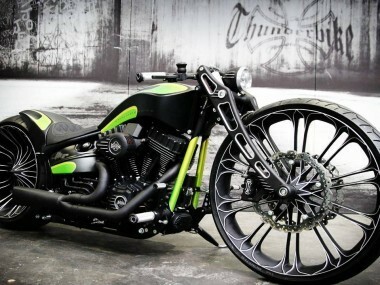 Of course, the side mount license plate bracket with Thunderbike Inside Plate is obligatory for such a conversion. In addition, there is a new front fender, chin fairing and well hidden turn signals, which also underline the sporty look of the project. The Harley-Davidson P&A catalogue also has a lot to offer. So we decided for the brand new Dominion collection, from which primary covers, camshaft covers, filter covers as well as various inserts and covers were assembled, which fit perfectly into the overall picture. 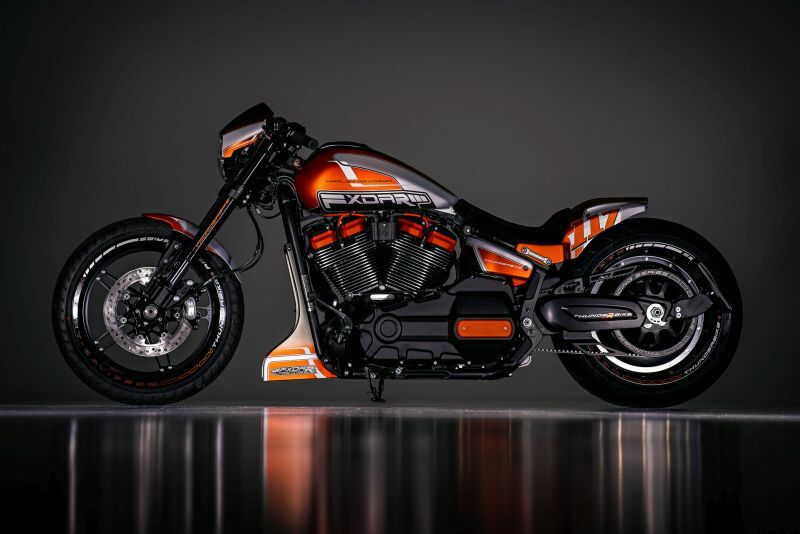 In the paintwork we have added a noble silver tone to the Harley-Davidson colours black & orange, which better focuses on the new shape of the bike.